Throughout American history, presidents have done things both good and bad. They have made mistakes which have cost lives, and many times they have gotten away with it. This is a list of some of the things that presidents have done which caused casualties and fatalities. In 2001, just hours before the attacks on the World Trade Center, former President Bill Clinton told an audience in Australia that he once nearly killed Osama bin Laden. The recording, which neither Clinton nor the audience would have known the significance of at the time, serves as one of the most sadly ironic footnotes in history. In 1998, bin Laden was not considered the danger that he later became, but he was still on the government’s radar. He had been wanted for bombing the US embassies in Tanzania and Kenya but had never committed significant attacks toward the United States. The government, though, suspected that the terrorist leader was capable of far more dangerous attacks. Finally, after years of attempting to find him, he was tracked to a small town in Afghanistan called Kandahar, where he was suspected of being held in the governor’s residence. The military wanted to launch a strike against the town which would have killed bin Laden, but to do so would have put hundreds of civilian lives at risk. 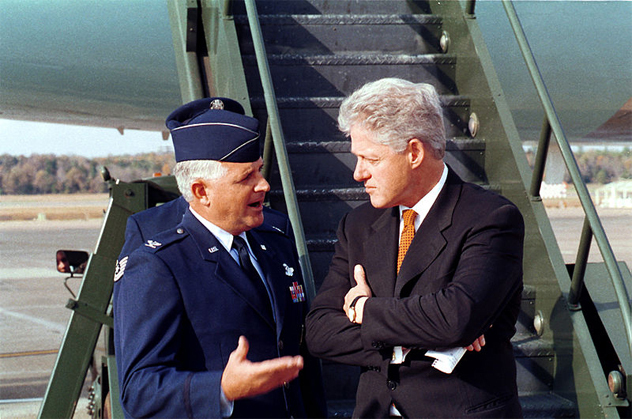 To avoid the deaths of the 300 or so townspeople, President Clinton called off the strike. It was also believed that the strike wouldn’t be successful because bin Laden left the room which the missile was aimed at. A second strike was proposed in May 1999, but a recent mishap involving a CIA bombing of the Chinese embassy in Belgrade made the military wary of another possible misstep. Another chance would never come their way, and two years later, bin Laden committed the deadliest attack on US soil in American history. We may never know what difference it may have made had bin Laden been killed when we had the chance. In 1971, tensions were flaring between the military government of Pakistan and the government of India. India and Pakistan have had issues for centuries, but due to increasing problems between the countries, there seemed to be war on the horizon. Pakistan at the time was a close economic and political ally of the United States, while India held a lesser position. 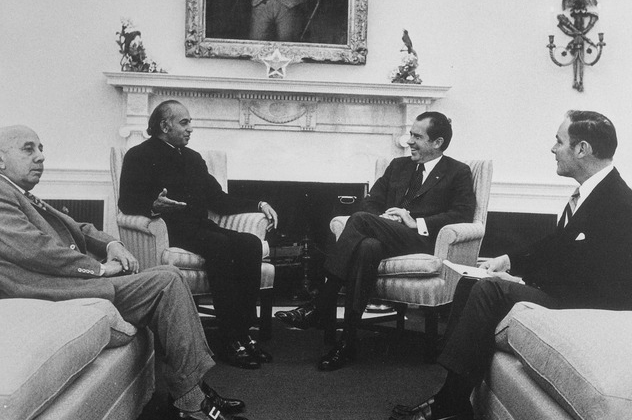 Despite the Muslim dictatorship of the country, President Nixon and Secretary of State Henry Kissinger decided to provide economic and military support for Pakistan in the event of a war (which there was later that year). However, the weapons which were secretly given to the Pakistani government were used for a much more sinister purpose—the genocide of the Bengali people. It’s estimated that nearly 200,000 people were killed by Pakistan, and according to documents by the State Department, neither Nixon nor Kissinger seemed to care. The slaughtering did nothing to stop the United States from continuing its support. The private US investments (many of the companies which were in Pakistan donated money to the Nixon campaign) seemed to be more important than the lives of the Bengali people. At the time, the Indian government was receiving support from the Soviet Union, and the White House Tapes revealed the feelings of the president: Nixon once said that India needed “a mass famine.” When Kenneth Keating, a Republican serving as ambassador to India, confronted Nixon about the suffering of the Bengali people, Nixon called him “a traitor.” Finally, this all came to a head when India and Pakistan went to war. The cost of Nixon’s support for Pakistan was the loss of hundreds of thousands of lives in the region, for which he showed a callousness which displayed his lack of remorse for his lethal actions. In 1930, President Lazaro Chacon suffered a stroke and resigned, which set about a series of events through which General Jorge Ubico would be elected. After several leaders were removed by either the Guatemalan army or the United States government, Ubico finally proved himself to be a worthy leader in the eyes of the United States. 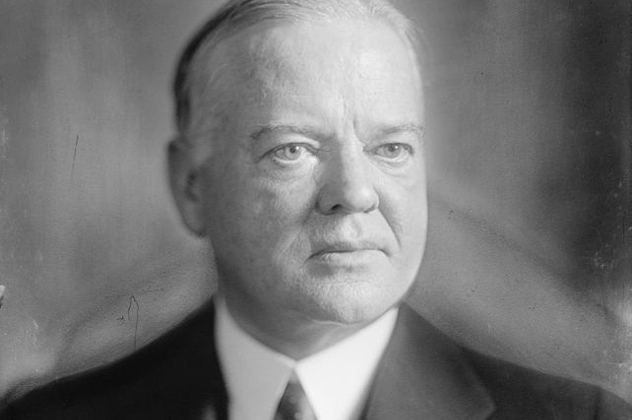 After a rigged election in 1931 which was sanctioned by Herbert Hoover, Ubico started a campaign to create a highly efficient military dictatorship in Guatemala. He became an ostentatious man who wore extravagant military uniforms wherever he went in an effort to emulate his hero, Napoleon Bonaparte. He started to systematically kill off all opposition and democratic activity. His abuse of the labor force soon bubbled over, though, and after more than 20 years of a bloody, repressive regime, Ubico was removed from power in 1944. In 1939, The SS St. Louis set sail from Hamburg, Germany, to Havana, Cuba, with 937 Jewish refugees seeking to escape Nazi Germany. At the time, the United States had immigration quotas which allowed for only a certain number of immigrants to stay in the United States at any given time. The refugees went to Cuba ostensibly as tourists but planned to remain there until they could fill the quota numbers. However, when the Cuban government received word that they planned to stay there, they refused to allow the Jewish refugees to leave the ship. The non-Jewish passengers, though, were allowed to leave the ship. Knowing what would happen if he took them back to Germany, the captain of the ship, Gustav Schroder, refused to allow the Jewish refugees to return across the Atlantic. The Jewish passengers were treated well onboard the ship: Captain Schroder tried to treat the passengers with respect, giving them kosher foods which were being rationed in Germany at the time, along with Jewish religious services. He even provided a cinema for the passengers. He next tried to dock the ship in Florida, but the Roosevelt administration would not allow the passengers on US soil due to immigration laws. When the ship neared the Florida coast, warning shots were fired. Captain Schroder was so desperate to save the Jewish passengers that he tried to wreck the ship and force the American government to take them, but the Coast Guard, hearing of his plan, was ordered to follow the ship. Despite knowing full well the fates of the Jewish people aboard the ship, Roosevelt told them to leave. 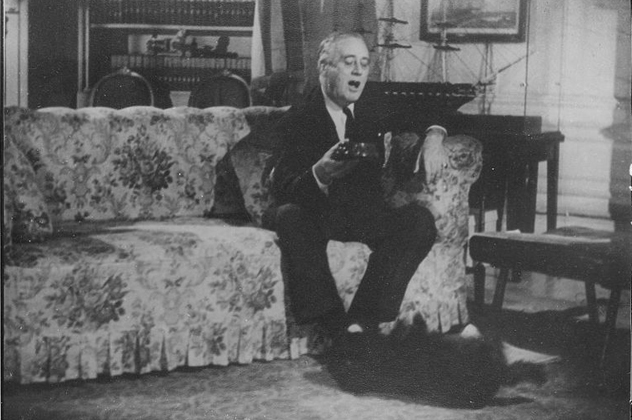 Roosevelt, who was considering an unprecedented third run for president, did not want to engage in the plight of the passengers of the ship because public opinion leaned toward strict immigration laws. Eventually, the British government coordinated efforts to place the passengers into countries in Europe, but Nazi Germany eventually conquered many of the countries where the refugees were placed. It’s been estimated that a quarter of those aboard the SS St. Louis were exterminated in Nazi concentration camps. Abraham Lincoln is certainly one of the most beloved presidents of all time. His handling of the country during the Civil War counts as one of the greatest achievements of any American president before or since. However, one of the most overlooked aspects of his presidency was his treatment of the Sioux tribe. It is certainly one of the darkest spots on Lincoln’s record and taints his reputation as an American saint. In 1851, the Sioux ceded massive tracts of their land in exchange for cash payments. By 1862, the federal government owed the Sioux nearly $1.4 million. Chief Little Crow attempted to go before the government, but the president refused to acknowledge him. A series of skirmishes started by the Sioux led to Lincoln giving permission for General John Pope to fight back. This led to the Dakota War of 1862, in which the Union government went on the warpath against the Sioux, who were only fighting for payment they’d been promised. 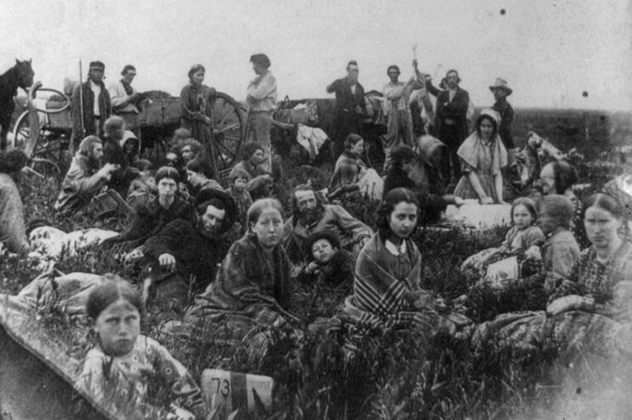 Of course, the American government crushed the Sioux uprising almost as soon as it began. On December 26, 1862, 300 Sioux were to be executed; while Lincoln pardoned most of them, 38 were still executed in the largest mass execution in American history. Over the years, the Dakota War disappeared from history. While the Civil War and the freeing of the slaves have been used to uplift Lincoln to a spot higher than many other presidents, his war with the Sioux over their rightful payment has not been forgotten. In 1835, five years after the Indian Removal Act had been signed by Andrew Jackson, a small group of Cherokee tribal members signed the Treaty of New Echota, which forced the Cherokee to leave their tribal lands in Tennessee and move west of the Mississippi River to the Oklahoma territory. The signing of the document itself was already illegal since the entire Cherokee tribal leadership had not agreed to the removal of their lands, but it soon came out that speculators had pushed for the signing of the treaty so they could purchase the newly available land for profit. In 1838, the Cherokee tribe was forced to relocate in what has been called the Trail of Tears. The brutal march led to the deaths of 4,000 Cherokee who had been forced out of their ancestral land. Andrew Jackson showed no remorse for his actions, and the treaty, while technically illegal, was upheld by the entirety of the Cherokee nation out of honor. Through abuses by officials which were sanctioned by Jackson, many more Native Americans were killed or cheated out of their land. Many of the other treaties signed during Jackson’s presidency only led to further wars with the Native Americans and more bloodshed. 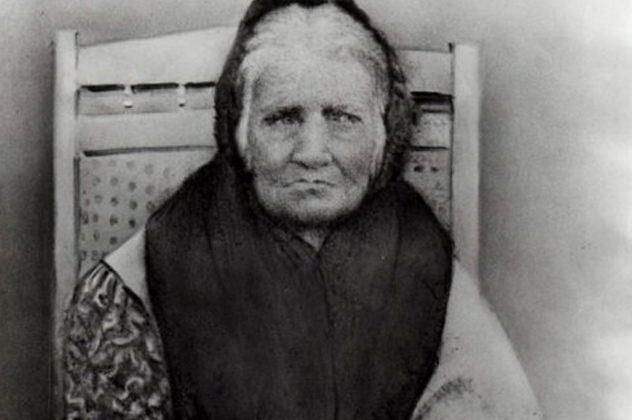 While the Treaty of New Echota was just one of many treaties used against the Native Americans, it led to the most pain for people who were forced out of their land by a president who was led by cruel convictions. In 1854, with the passage of the Kansas-Nebraska Act, the decision of whether or not slavery was to be legal in Kansas was left to the settlers of the state rather than to Congress. Franklin Pierce thought that this would be a good resolution to the slavery issue without involving the government. He believed that, with the Kansas-Nebraska Act, the whole headache of deciding a state’s slavery status was behind him. His assumption proved wrong. As anti-slavery forces heard about the rise in pro-slavery settlers, they began to arrive en masse to sway the pro-slavery vote in Kansas. The abolitionists began to arm the settlers in an effort to keep them from being forced out of the state. This eventually erupted into bloody conflict as fighting broke out between the pro- and anti-slave forces. 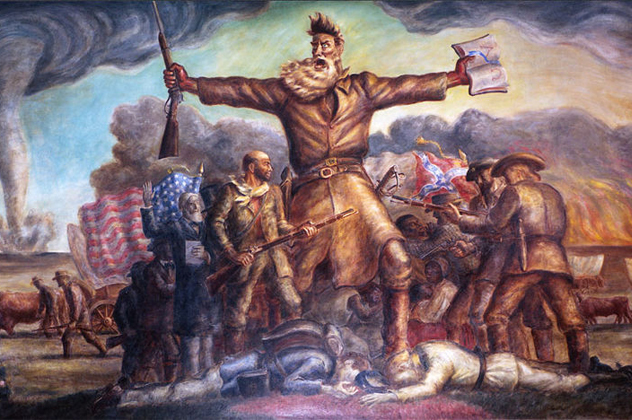 This was dubbed “Bleeding Kansas” by Horace Greeley, editor of the New York Tribune. In 1856, all hell broke loose with the Sacking of Laurence, in which Missourians invaded the city and destroyed homes, businesses, and other properties. The Missourians were pro-slavery, and the city of Laurence had been built by anti-slavery forces. The fighting continued throughout the state, all due to Franklin Pierce’s insistence that the federal government stay out of the slavery issue. In 2001, the Italian military supposedly presented the CIA with evidence that Saddam Hussein had attempted to buy yellowcake uranium from the government of Niger. This occurred in the aftermath of the World Trade Center attacks, and the United Nations was gathering evidence of whether or not Hussein was attempting to create and store weapons of mass destruction. Yellowcake uranium is one of the main ingredients in the creation of nuclear weapons—which the Iraqi government had been doing, according to the United States—and the documents only seemed to prove this accusation. However, for their entire existence, the documents were suspected of being forgeries. 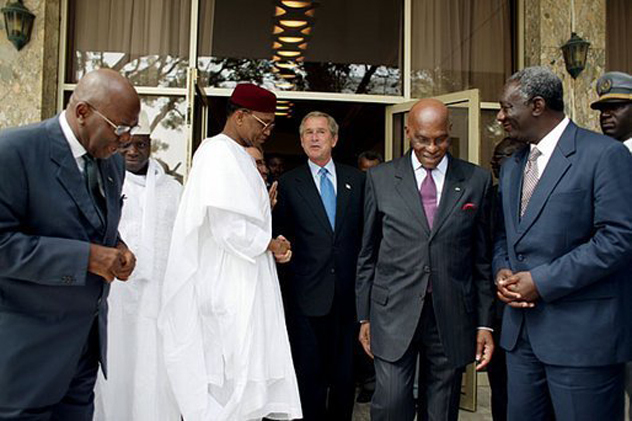 Despite the questions of their authenticity, the Bush administration used them in the case for war with Iraq with the infamous words, “The British government has learned that Saddam Hussein recently sought significant quantities of uranium from Africa.” Even before President Bush gave the speech in which he put forward the evidence that Iraq had been attempting to get uranium, French intelligence had said that the documents were not hard evidence. Despite this, the American coalition went to war with Iraq. The controversy behind the documents and the justification for war would not die down. In 2002, American generals and CIA agents had attempted to verify the documents, but their efforts came to nothing. In 2004, an Italian source claimed that he had helped forge the documents, and both British and French forces found that the documents had indeed been forged. In 2003, word broke that an investigation by the Atomic Energy Agency had also found the documents to be forged. None of these findings affected the war. Many lives were lost, but there were no prosecutions despite the key foundation of the War in Iraq being entirely fake. 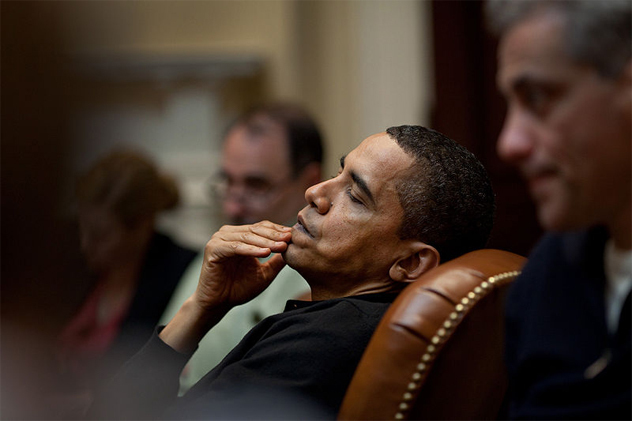 While gun-walking has been in use by the ATF since 2006 with some success, it wasn’t until 2009 that President Obama authorized then–Attorney General Eric Holder to use the Department of Alcohol, Tobacco, and Firearms to tag several deadly assault rifles so they could be sold by gun dealers near the border to “straw buyers” who would then sell the weapons to the Mexican cartels. This was all done under the code name “Operation Gunrunner.” Not only was this all highly illegal, but when the guns did manage to get into cartel hands, they were used to execute Mexican citizens and ceremoniously dumped so there could be no trace. While many of the straw buyers were caught and prosecuted, none of the cartel targets were actually caught, leaving them in the clear. After the failure of the operation, the order was for all documents to be buried. According to a Department of Justice report, of the 2,000 guns being tracked, only 710 of them had been recovered by 2012. This means that over 1,000 assault rifles may still be in the hands of the Mexican cartels. The operation would have remained secret if it weren’t for the murder of United States border patrol agent Brian Terry, who was killed by a Mexican cartel in 2010. After his death, investigations discovered that the tagged guns were related to 150 murders in Mexico. In 2011, members of Congress began to investigate the operation and started to wonder: Who gave the order for it? Former Attorney General Holder denied giving the order. He refused to give any related documents to Congress, and he was placed in contempt of court. When President Obama was asked about his part in the operation, he invoked executive privilege for the first time in his presidency. The investigation, while never formally closed, eventually came to nothing, and there has been no further word about who was at fault. During the Napoleonic Wars, many British war vessels patrolled the Atlantic Ocean for French trading vessels. This often led to altercations with American ships that did business with both Britain and France. The frequent provocative acts by the British eventually angered President Madison too much, and he declared war in 1812. This proved to be a great mistake. The British government was angered by their defeat during the War for Independence and were out for blood. They unleashed the most vicious assault that the United States has ever known. 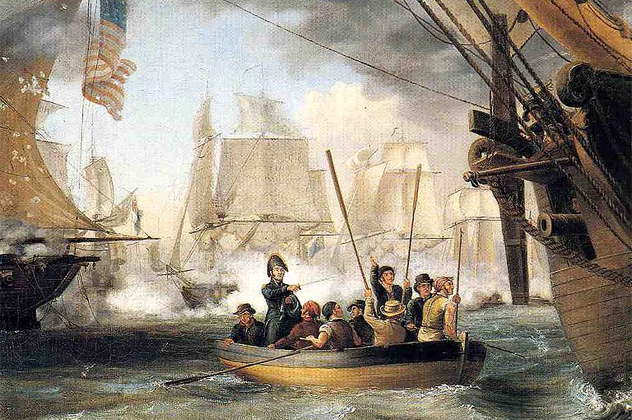 After crushing the American naval fleet, they launched the first and only invasion of the United States. They overwhelmed the American armies, and it seemed that they were going to retake the lands they had lost. They marched to Washington, DC, where they proceeded to sack and burn the city. Madison began to realize that by declaring war, he may have sowed the seeds of destruction for America. By 1814, however, after much fighting in which the United States managed to push back the British invasion, Madison decided to press for a truce with the British government. Both governments came to realize that prolonged war would be unprofitable on both sides of the Atlantic and agreed to peace. They signed the Treaty of Ghent on December 24, 1814, which put an end to the War of 1812, although fighting would continue for some time. By the end of the violence, an estimated 20,000 Americans had lost their lives. Gordon Gora is an author desperately trying to make it, but until then he will write for Listverse for his bread and butter.